ELEMENT is a unique and specialized team of Engineers, Architectural Designers, Fabrication Specialists and Project Managers serving the architectural and construction communities, providing turn-key solutions for custom architectural materials. Founded in 1998, we have grown to become a leading provider of specialized Design-Build services, utilizing formal training in both engineering and architecture as well as years of real-world experience in metal work, industrial fabrication, construction, materials, cost estimating, scheduling and project management. This diverse, multidisciplinary approach shapes the way we work and allows us to look at every angle of a project with a discriminating and fresh perspective. Staffed by positive and enthusiastic professionals providing a high level of service, ELEMENT delivers everything from initial conceptual design to scheduling, fabrication and the shipment of unique and unusual architectural elements. We design, engineer, fabricate and deliver unique materials for technically challenging modern architectural applications. ELEMENT provides consulting services, architectural design assistance, engineering design, budgeting, scheduling and fabrication services, to the Design and Construction communities. We provide a complete “turn-key” service that works with you to develop a concept into a complete finished article. We act as a Design-Build contractor for a specific scope of work that forms a subset of a larger construction project. Because we take ownership of design, engineering and fabrication, we are able to take a concept from sketch to completion in the most expeditious and cost effective manner. ELEMENT integrates many different disciplines, materials, fabrication resources and production capabilities in order to deliver architectural elements that would otherwise require numerous individual suppliers. The advantages to the project are obvious; single source responsibility vs. multiple individual supplier contracts with different areas of responsibility. First, we listen to our Customers and ask questions to learn as much as possible. Then we provide sound, well engineered options and solutions. Often, our work consists of a unique part of a project that has never been done or made before. These commonly include systems or components that are imagined by architects and rendered with software, but are not sold by suppliers or found in catalogs. Common examples are 3 dimensional shapes for metal surfaces, complex compound geometries and challenges with the size or scale of components. We apply the latest computer modeling, engineering analysis, materials, and manufacturing techniques to provide inventive solutions to these technically difficult tasks. With our robust exchange of ideas, solutions emerge that solve functional and technical challenges. 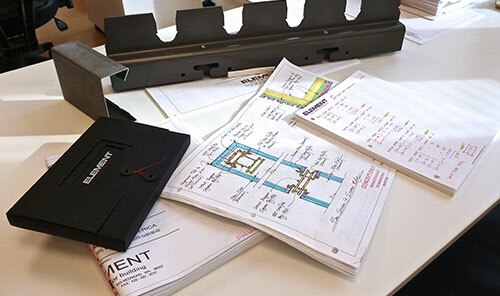 Of course, sometimes a solution may not be immediately obvious, but by thinking outside the box, ELEMENT provides solutions that simultaneously address engineering, materials and fabrication problems in ways that conventional suppliers can’t. 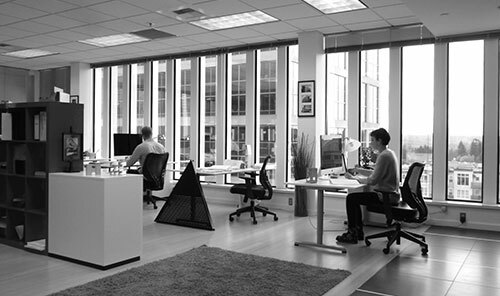 ELEMENTs’ proprietary processes have been developed by solving real world problems and are formulated into a design development action program that serves as a valuable resource for the Design and Construction communities. We provide a complete design development and supply package, removing the need to coordinate multiple different specialty suppliers. For examples of the results click here. ELEMENT strives for clean, simple design solutions to keep your costs under control — it’s our business to achieve the look and performance you want in the most cost-effective manner possible. We consider ongoing costs of maintenance, the lifetime value of different materials, replacement and/or upgrade costs and every aspect of a buildings’ cost profile, when making design recommendations. We also work to reduce labor costs throughout the project. A significant portion of the budget for most construction projects can be attributed to labor costs. 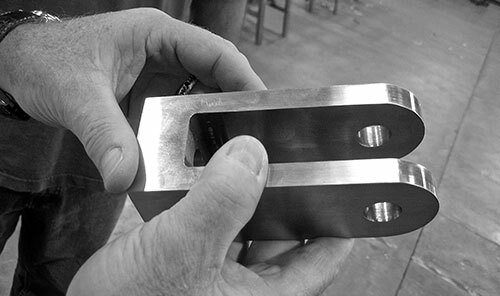 We strive to save our Customers money by designing parts and assemblies that will require less labor on the job site. We are committed to providing our Clients with distinctive, innovative products at reasonable prices on a small or large scale. Whether using our standard products or a custom design, ELEMENT has the ability, experience and focus to save you money. We demand high standards of craftsmanship, accuracy and aesthetic value from all our vendors – regardless of the materials, trades or resources we utilize. Quality is paramount. ELEMENT maintains ownership of the entire Design-Build process. We treat our Customers’ materials as if they were our own. We do not settle for second best. 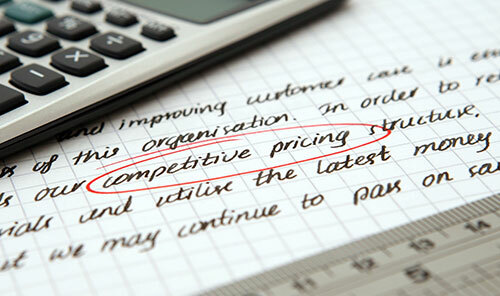 Providing value to our Clients means supplying exceptional service and great quality at reasonable prices. With constant first-hand monitoring of progress, we ensure quality throughout the process. 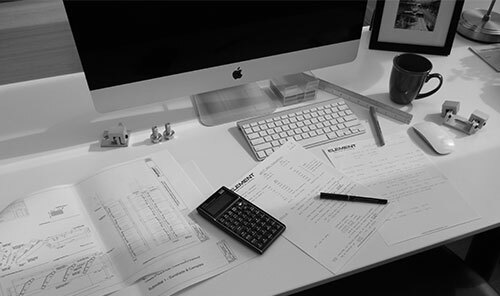 Engineering calculations, design concepts, drawings, submittals and fabrication all benefit from this approach. There is no benefit in doing things over. The value of quality is remembered long after a project is completed. Quality in materials, design and execution add value for the Customer and are ultimately the most cost effective. ELEMENT is unconventional in that we deliberately think differently in order to acquire a new perspective from which we arrive at a novel or creative solution. 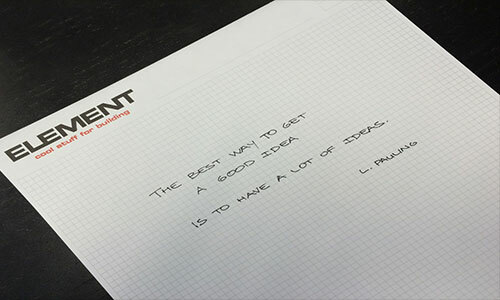 ELEMENT is not constrained by traditional thought processes when it comes to innovating. We do not adopt a steadfast and resolute approach when it comes time to solve a challenging problem, rather we are amenable and willing to consider unconventional solutions. We are persistent in our determination to identify ingenious alternates and this process begins with an open mind. By asking “what if?” we open the door to many possibilities. By looking at things differently, we maximize our chances of discovering a breakthrough. Creativity in thought leads to insight, insight leads to understanding, and understanding leads to inspiration. Through this process, innovation occurs. ELEMENT is focused on thinking creatively when we first approach a problem and our proven track record of innovation is testament to the effectiveness of this approach. Through regular meetings ELEMENT is always available and close at hand. Good communication is essential to working closely with our Customers. 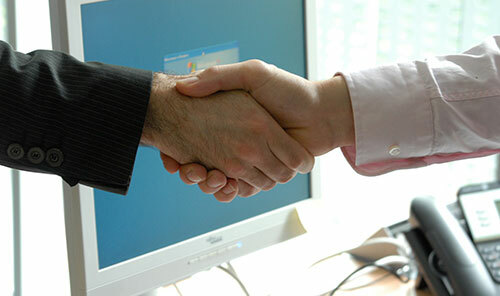 We know that you need a responsive partner, one who will be there with the right answers when you need them. Throughout the course of a project we maintain an open dialog, are proactive in keeping our Customers informed of problems and are sympathetic to the need for regular updates. Our teams often send out weekly or bi weekly project status updates covering schedule, scope and budget. Our enthusiasm for working with our Customers and our desire to do things that “cannot be done” is what sets ELEMENT apart.